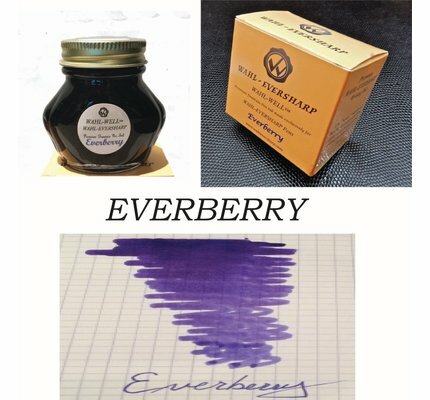 Wahl-Eversharp Everberry fountain pen ink available in a 80ml glass bottle. A rich Blue-Purple leaning more into the purple range. Diamine Wild Strawberry fountain pen ink in a 80ml glass bottle. Diamine Hope Pink fountain pen ink in a 80ml glass bottle. 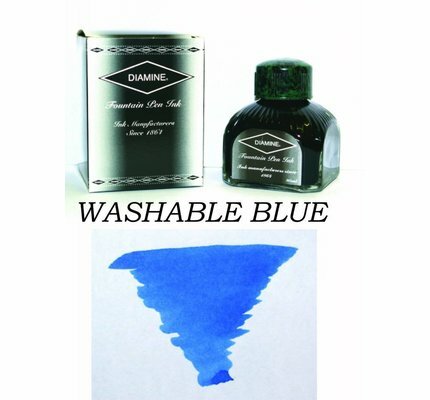 Diamine Washable Blue fountain pen ink in a 80ml glass bottle. 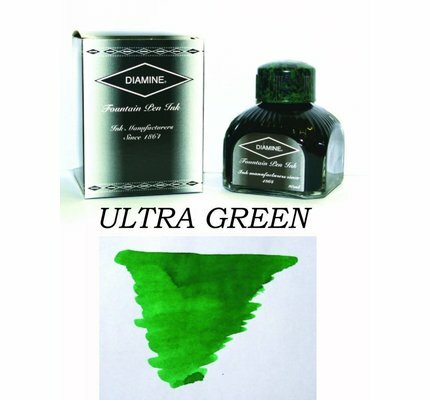 Diamine Ultra Green fountain pen ink in a 80ml glass bottle. Diamine Twilight fountain pen ink in a 80ml glass bottle. Diamine Sunshine Yellow fountain pen ink in a 80ml glass bottle. Diamine Steel Blue fountain pen ink in a 80ml glass bottle. 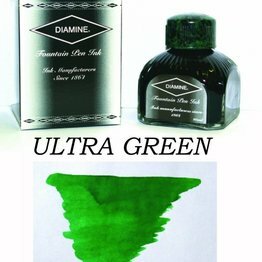 Diamine Sherwood Green fountain pen ink in a 80ml glass bottle. 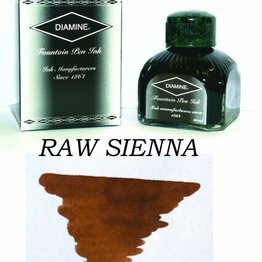 Diamine Sepia fountain pen ink in a 80ml glass bottle. 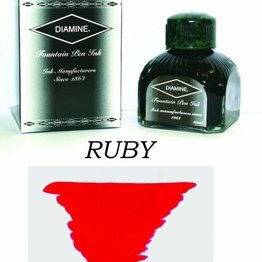 Diamine Scarlet fountain pen ink in a 80ml glass bottle. Diamine Sargasso Sea fountain pen ink in a 80ml glass bottle. 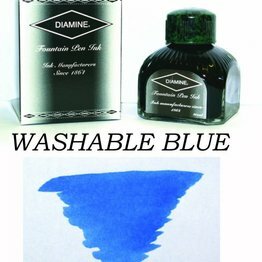 Diamine Sapphire Blue fountain pen ink in a 80ml glass bottle. Diamine Salamander fountain pen ink in a 80ml glass bottle. 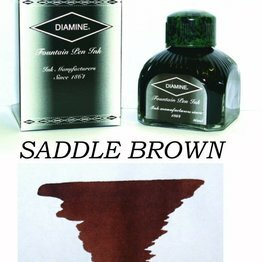 Diamine Saddle Brown fountain pen ink in a 80ml glass bottle. Diamine Rustic Brown fountain pen ink in a 80ml glass bottle. Diamine Ruby fountain pen ink in a 80ml glass bottle. Diamine Royal Blue fountain pen ink in a 80ml glass bottle. Diamine Red Dragon fountain pen ink in a 80ml glass bottle. Diamine Raw Sienna fountain pen ink in a 80ml glass bottle. Diamine Quartz Black fountain pen ink in a 80ml glass bottle. Diamine Pumpkin fountain pen ink in a 80ml glass bottle. 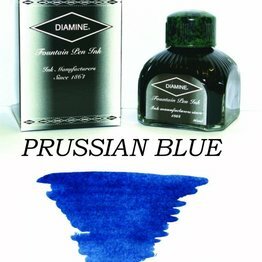 Diamine Prussian Blue fountain pen ink in a 80ml glass bottle. Diamine Presidential Blue fountain pen ink in a 80ml glass bottle.